Your cultural itinerary includes sights like Île de la Cité and Musee d'Orsay. Get in touch with nature at Seine River and Ile Saint-Louis. Explore Paris' surroundings by going to Palace of Versailles (in Versailles) and Chartres Cathedral (in Chartres). There's still lots to do: take a stroll through Le Marais, make a trip to Eiffel Tower, see the interesting displays at Musee Rodin, and get a taste of the local shopping with Saint Germain des Pres Quarter. 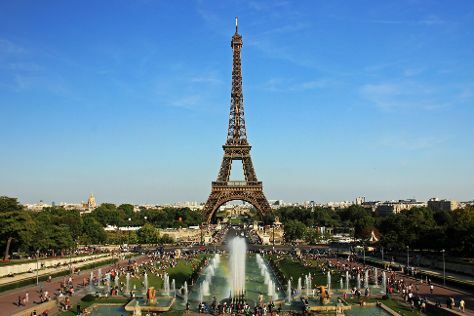 For maps, photos, reviews, and other tourist information, go to the Paris trip itinerary planner . If you are flying in from Brazil, the closest major airports are Paris-Orly Airport, Charles de Gaulle International Airport and Paris Beauvais Tillé Airport. In October, plan for daily highs up to 19°C, and evening lows to 10°C. Finish your sightseeing early on the 12th (Fri) to allow enough time to travel back home.